What helps you succeed? So many elements that contribute to success might have crossed your mind in the twinkling of an eye; isn’t it? Let me just pick one among them all. It happens to be one of my favourites. It is the ability to aim high. So many people have expressed this idea in thought-provoking ways. I am not trying to quote those famous sayings. But my question is, what prevents people from aiming high? Let me just quickly sketch a few points. First of all, people do not aim high because they are afraid of their own success. It might be a startling statement. But it is true. I have met many who thought that to succeed is a crime. To them, success meant that they are somehow stealing someone else’s opportunity. But that is not true. This world is a big place and God has created a space for you and for me. It is only when you do not use your full potential and do not try to understand the purpose for which you have been created; it is then that you betray your calling in life. So aim high and be the best you can be. Secondly, people do not aim high because they are afraid to fail. See, the problem lies in how you look at failure. If you see it as the worst that can happen; then you are finished. You lose even before you start to fight. That is a defeatist attitude and most negative. Dear friend, stop worrying about what others will think when you fail. That is their problem; not yours. Unless you try, how can you exercise your God-gifted potential? If you look at yourself honestly; you are carrying a gold mine within you and living like a beggar. Who is to blame? I hope you got the answer. Finally, people do not aim high because they think that they are not significant. Oh, how it disheartens me to see so many choose to stay behind the curtains and in the side benches without taking an active part in the drama and game of life! Dear friend, never fall into the comparison trap. The world will always try to make you feel inferior. Do not buy into that lie for a moment. For God has created you unique. There is nobody on planet Earth like you. With all your shortcomings you can still contribute much to the lives of others. Stop thinking about yourself alone. You can be the lifeline to many others who are in despair and in darkness. Let me conclude. Never fly low. I repeat it again; never fly low. Like the law of gravity; negatives will always be around you trying to pull you down. But there is a higher law of flight and freedom that leads to joyous achievement. This is your true destiny. To rise from your bed of despair and hopelessness and aim high. Look at the vast blue expanse of the skies. Isn’t there a stirring in your heart; a longing to soar high? 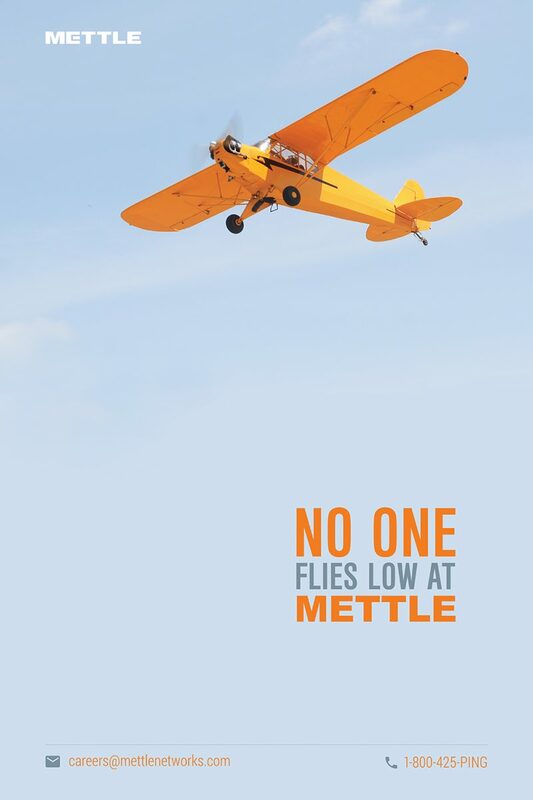 “No one flies low at Mettle!” is how we are at Mettle Networks, Technopark. 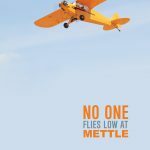 As Performance Coach at Mettle Networks, I have the joy of seeing Members of Team Mettle fly high. “No one flies low at Mettle!” was the conclusion of my Introductory Talk as Performance Coach at Mettle on 9th January 2017.
thank you sir.It was very usefull for me . I am going to use this speech in YLP. ._. Previous PostPrevious Love at First Sight or Love in Every Day Instalments? 3 Secrets for Falling in Love Again and Again! Next PostNext 1 Minute Speech on the Magnetic Pull of the Cross!